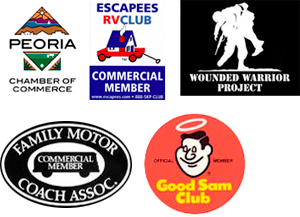 Fix My RV AZ offers Phoenix Arizona RV repair. We come to you, at your location offering mobile RV repair services in Avondale, Buckeye, Glendale, Litchfield Park, Morristown, New River, Peoria, Phoenix, Scottsdale, Surprise, Tolleson, and Wittman. We can guarantee you that our Phoenix Arizona RV repair technician will not be the cheapest. We will also not be the fastest. However, what sets us apart from others offering mobile RV repair services in the Surprise, Arizona areas is that we have the best workmanship and attention to detail. Our customers are looking for a meticulous repair technician that will be conscientious and careful. We offer a level of precision and workmanship that is just unmatched in our area. 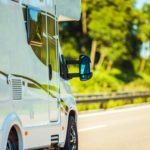 If you are very picky about whom you allow to work on your RV home or consider yourself to hold attention to detail in a high degree, we are the Phoenix Arizona RV repair service that you should work with. We consider the hardest to please clients among our best friends. Certified Master RV Technician, Jeff Averyt, is obsessive when it comes to fixing your RV properly. He does not choose to cut corners or jury-rig anything. Click and read more about our repair services, and maintenance programs. We fix all types of RV’s and their appliances. Find out more about RV electrical system repair, Aqua Hot heating systems, RV propane tank repair, RV Refrigerator Repair and RV awning repairs.